Mild spoilers for 12 Rounds 2 in that comic. And yes, I did watch it just for Randy Orton week and it’s not that bad, actually! 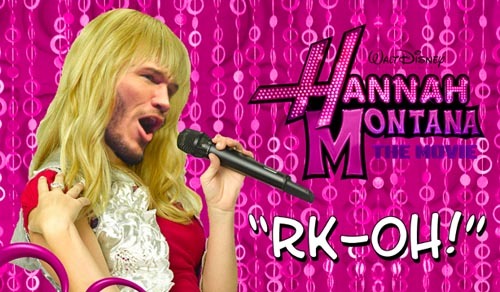 But I’ve been thinking- Randy Orton’s recently been named the face of the WWE, right? He’s supposed to be the guy that they can put at the forefront of their company and show everything that they stand for. And, if Triple H is to be believed (he’s not), ratings are up and more people are talking about WWE because of one Mr. Randal Keith Orton. So what if Orton branched out to save some other brands in need of a facelift? Sure, to get his physique he probably has to avoid butter like the plague, but who’s to say that he couldn’t at least sell some of her old cookware? I’m sure it’s just sitting around in warehouses somewhere waiting for stores to forgive Paula Deen. 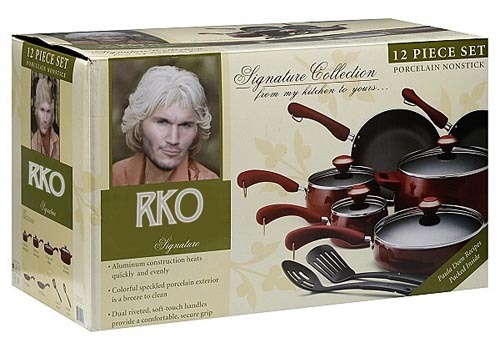 Speed up the process by putting Randy’s face on it and showing how he uses it to cook his diet of… I’m guessing chicken and eggs. If he can fake a southern accent, he’s golden like a gooey butter cake. People can’t stop talking about Miley Cyrus’ VMA performance where she effectively killed her “Hanna Montana” brand. So why not have Randy rise from the ashes as the new preteen pop idol? It might be a little hard to get him to sing on stage with his schedule, but they could at least still sell kids the backpacks and books or whatever with Orton’s face slapped on them. 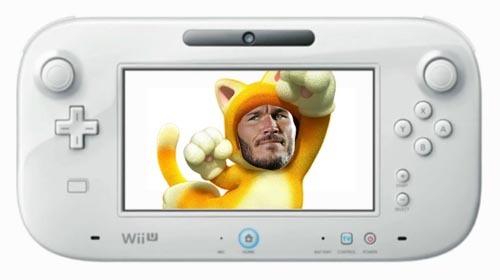 Anyone who follows video games knows that the Wii U has had a hard time since launching last year. I have a feeling it might turn around once Smash Brothers comes out in 2014, but what’s going to hold them over until then? They have a holiday season coming up and everyone’s talking about X-Box One and PS4! Enter Randy Orton. Just look at him in that cat suit! He doesn’t even have to play it, just have him in a commercial wearing that thing and watch units fly off the shelves!